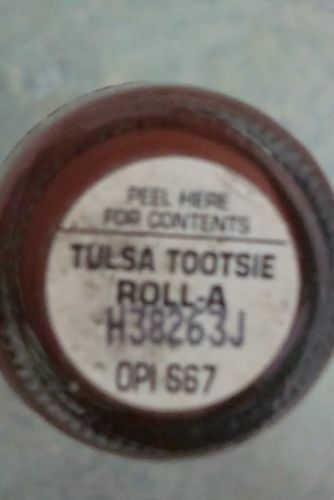 Tulsa Tootsie Roll-A looks dark brick brown in the bottle. But once you put it on your nails, wow, it just looks so different. 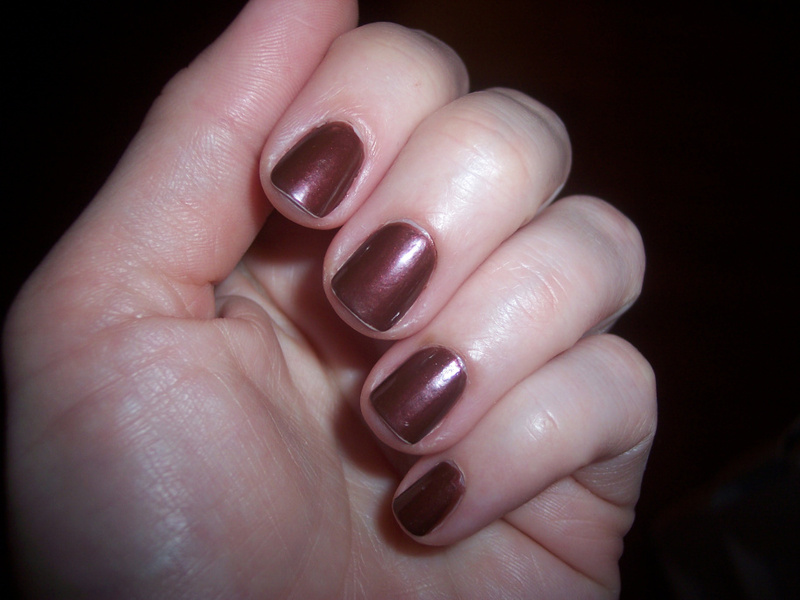 The color is dark chocolate brown with subtle red shimmer. The shimmer doesn't look flat. 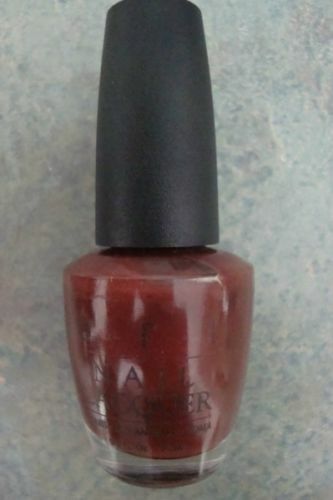 Also, it has some sort of red undertone so it's not totally chocolate brown but with a hint of red. But the color is still mainly brown.